Who doesn’t love Shark Week? Okay, I don’t. I do not love those fierce killers. I know, sharks are misunderstood. I’m okay with that, really. Even though we live in FL and I enjoy boogie boarding with my boys … I still can’t look a shark documentary in the eye. Regardless how you feel about those deep salt water carnivores, it’s time to put on a big toothy smile and round up a few shark learning opportunities! Check out these Shark Unit Study Links! Did you know you’re more likely to: fall out of bed, be crushed by a vending machine, or be hit by falling coconut than be killed by a shark? Read more interesting shark facts. Not a shark fan? Join me on the shore with these safe, friendly ocean & beach links! Looking for more science activities? 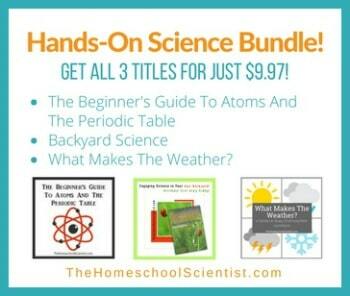 Follow The Homeschool Scientist on Pinterest. Stef Layton is a homeschool mom to two energetic boys. She believes in hands-on interest-led learning. Married to a busy traveling golf course architect, they have taken their homeschool on the road. Stef is the Hands-On Learning Columnist for Homeschooling Today Magazine. This year she started showing hands-on activities on youtube. You can follow her at Instagram, or Twitter @StefMLayton.